We are based in El Dorado KS and service the entire state of Kansas, as well as Oklahoma. 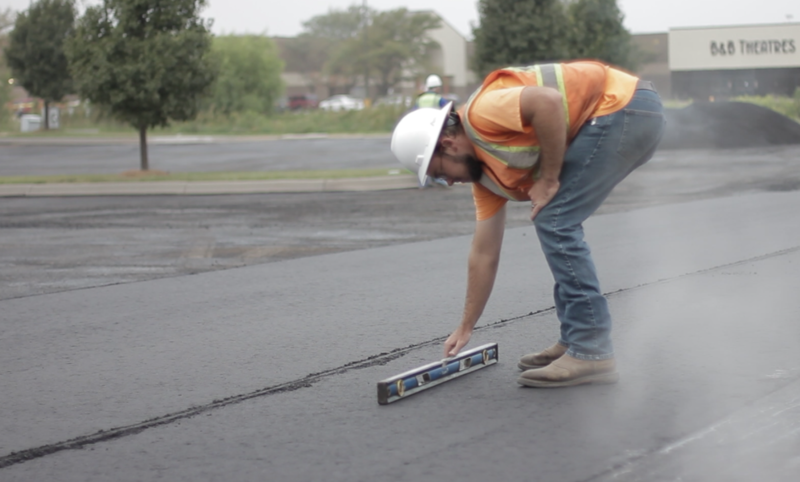 We take pride in our reach, and are willing to "go the extra miles" to help our clients protect and improve their pavement. 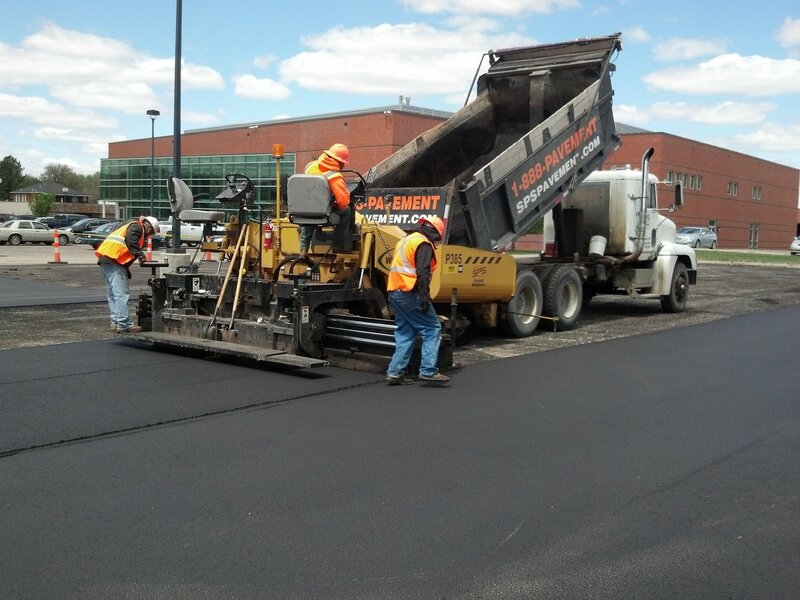 Road and street construction, parking lot repair and resurfacing, or driveway overlays and installation, SPS can handle small or big asphalt paving projects alike. We won't back down from any challenge. 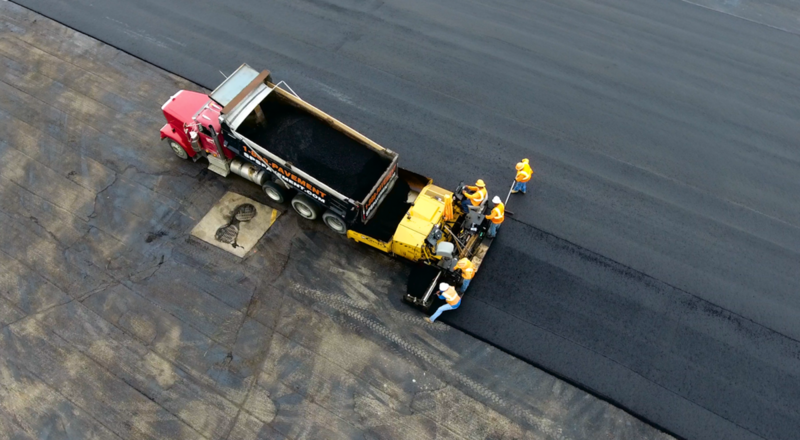 If you are desperately seeking an asphalt company that actually cares, look no further... you just found one. 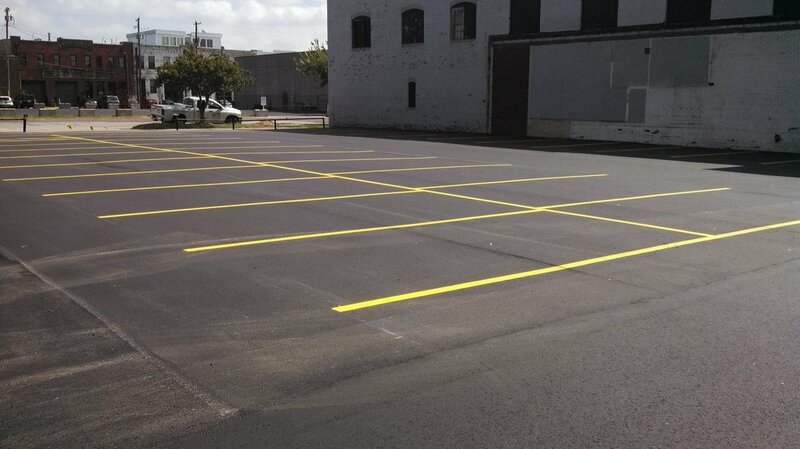 At SPS Pavement Maintenance, we focus our asphalt paving on streets, parking lots, and driveways. 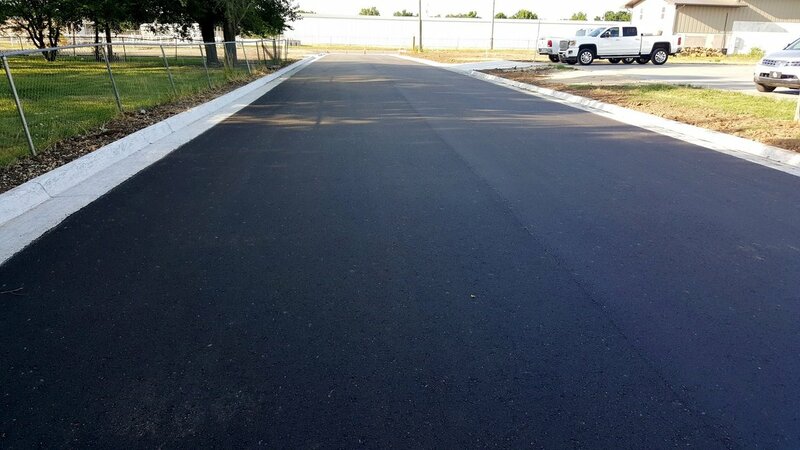 With our smaller state-of-the-art equipment, we are able to pave in places that the highway pavers can't even think about, while our lower cost of operation gives us the competitive edge as your preferred Kansas asphalt pavement company. Our attention to detail, superior workmanship, and second-to-none customer service are guaranteed. 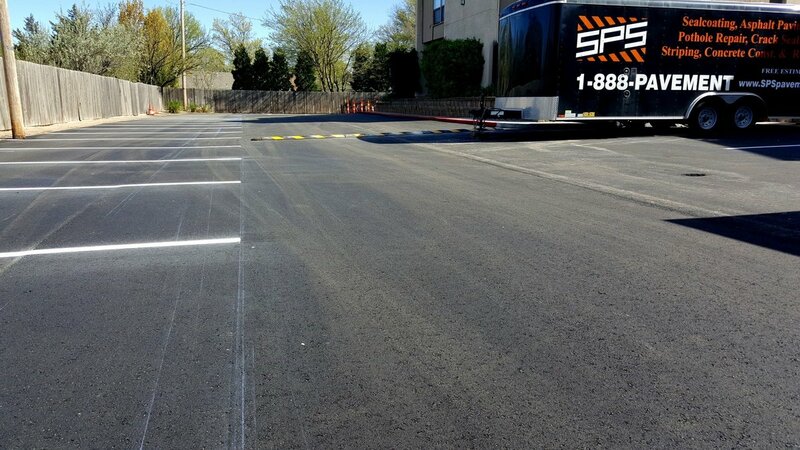 No asphalt company cares about your needs more than we do, and hundreds of satisfied SPS customers will attest to that. 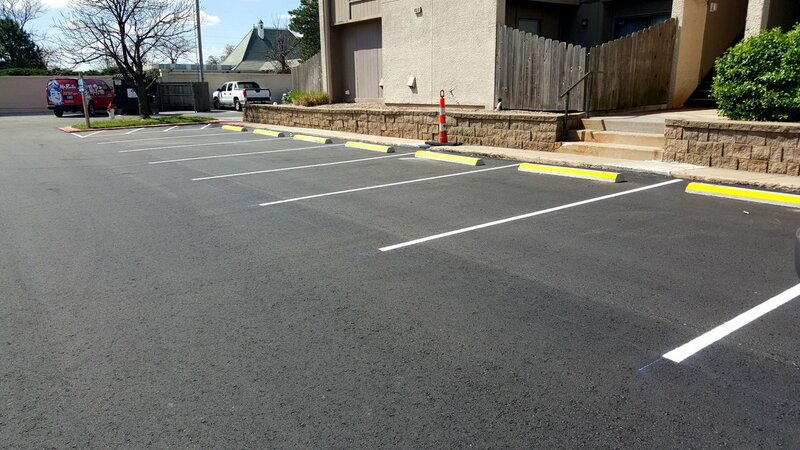 Whether you need an overlay, complete replacement, or a brand new parking lot installation, SPS has the experience, equipment, and top-notch personnel to exceed your expectations. 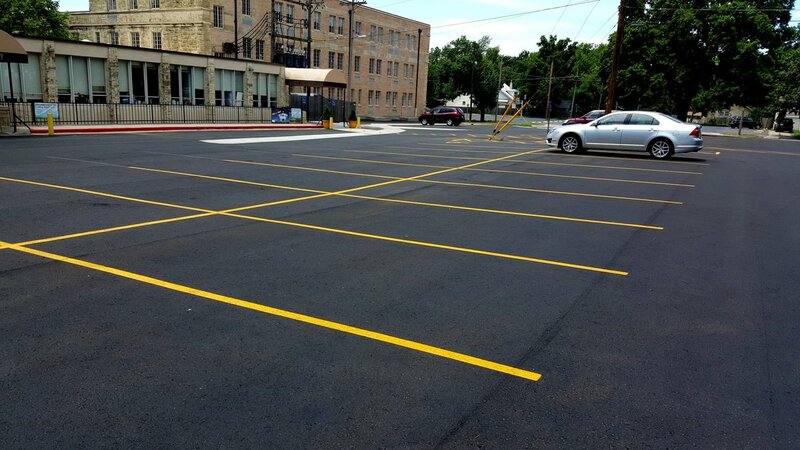 At SPS, we know that there is a science involved with paving the perfect parking lot. 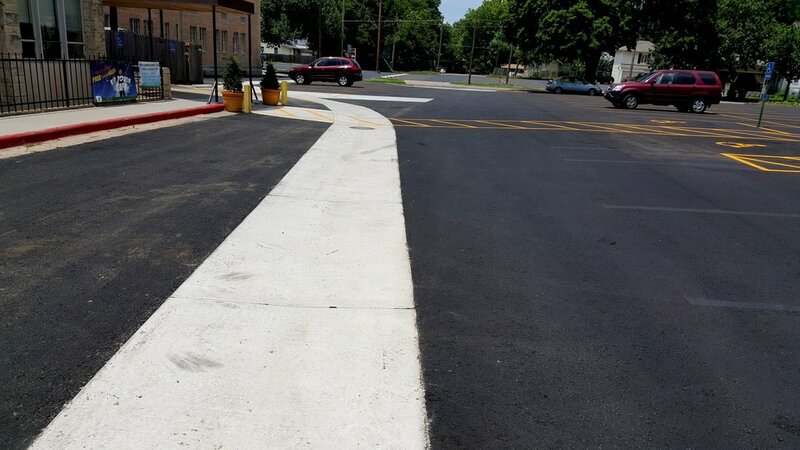 Only the very best paving crews can make asphalt turn heads... and Can make your business stand out from the rest of the block. 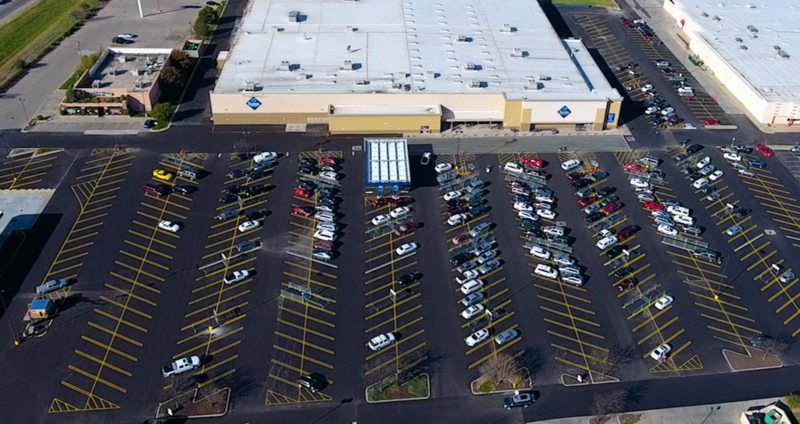 There is an art to creating a parking lot that not only lasts a long time, but makes you notice a difference. 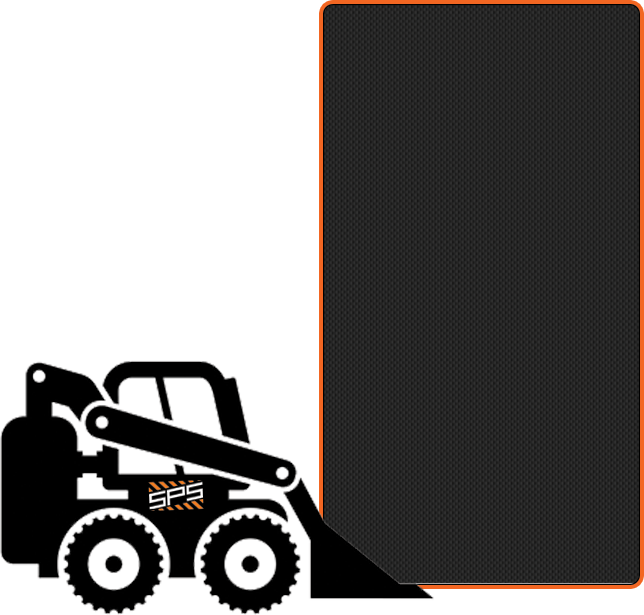 At SPS, our paving process ensures that you get just that. Our process begins with setting up professional traffic control on your property to keep your customers, employees, and tenants safe. We will help you develop a custom, efficient phasing plan to complete your project on time and on schedule. We understand that you have a business to operate, and your doors need to remain open and accessible throughout the project. All cones, signs, and other traffic control will be neatly maintained until the completion of your project. After traffic control is set, the work begins. 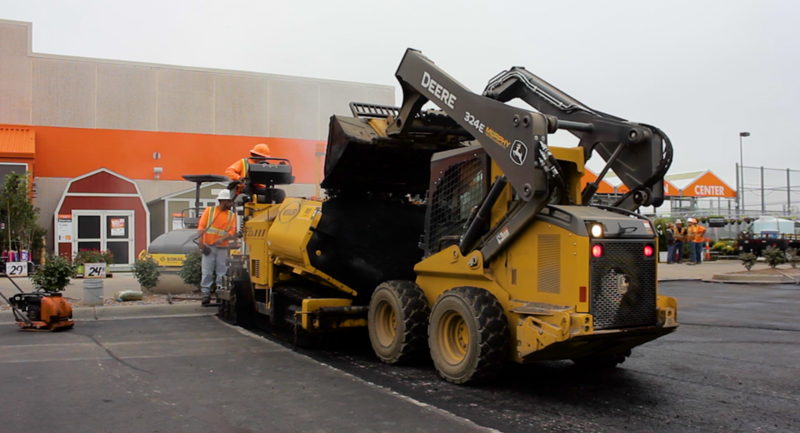 A milling machine removes the surface of your parking lot, loading a fleet of dump trucks to haul the millings off-site. 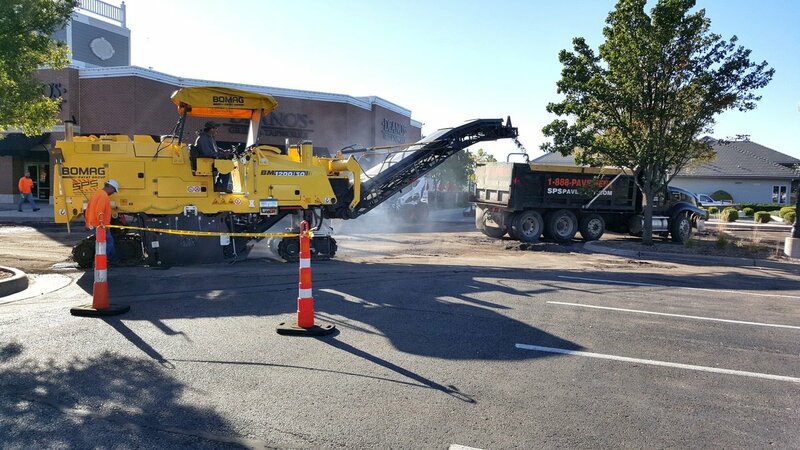 Our equipment is state-of-the-art, with the ability to precisely remove the surface at a consistent, even depth for a higher-quality paving project. Our milling machines are also equipped with custom water systems for increased dust control, because we believe the windows on your building and vehicles should not need a bath when we are finished! As we mill the surface, a cleaning crew follows closely behind, carefully prepping the area to be overlayed. Without a clean surface, your overlay will not adhere properly which would decrease the longevity of your pavement. 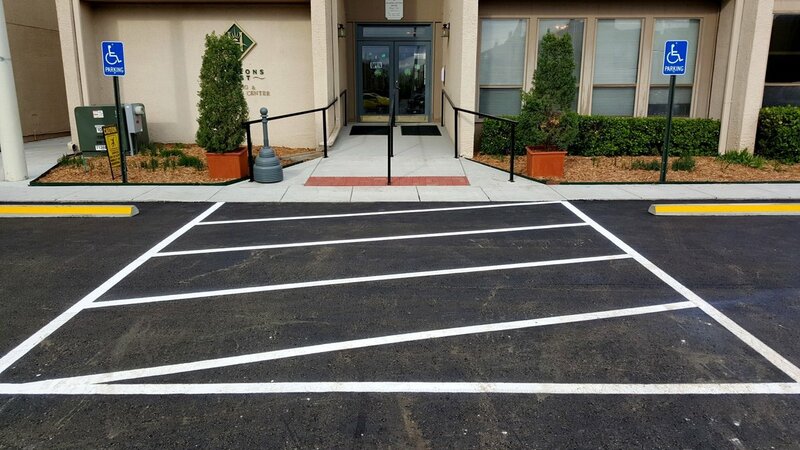 We pay close attention to details like these, so that our paving jobs last as long as possible to increase your Return on Investment. 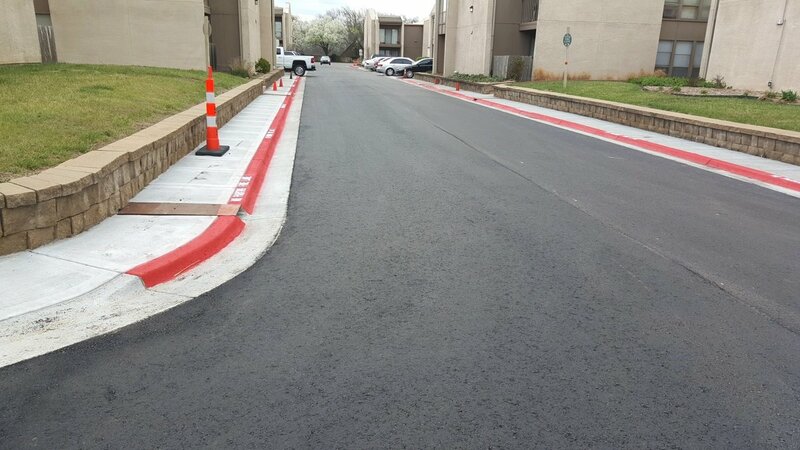 When the cleaning is finished, a commercial-grade concentrated tack oil is applied to the surface to promote adhesion between the bottom and top layers of asphalt. 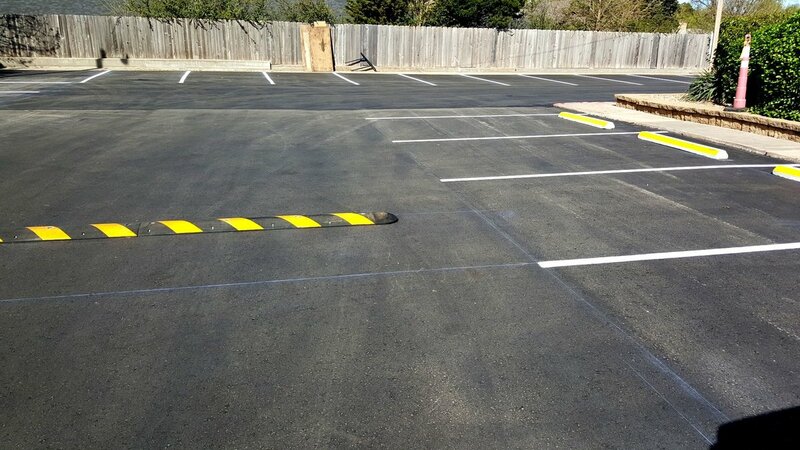 This is key to help prevent future failures in your pavement. Now it's time for our experienced paving crew to work their magic. 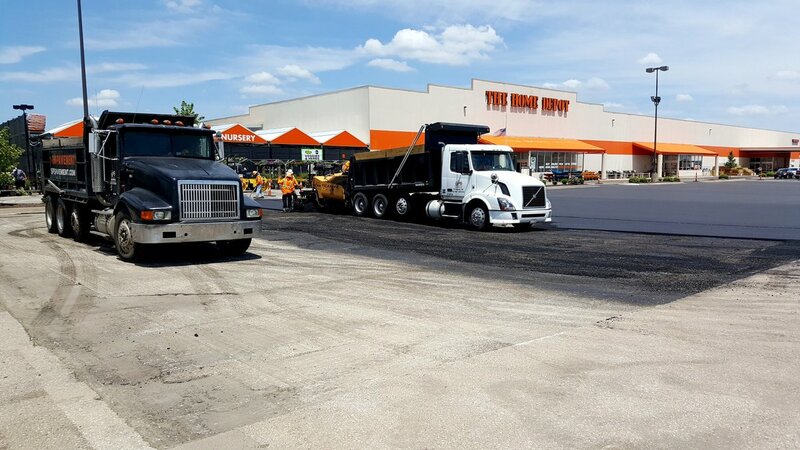 Our team begins to meticulously work the edges .... and a fleet of dump trucks begins backing up to one of our cutting-edge asphalt pavers. Our pavers are loaded with brand new technology, like automatic depth sensors. Sonic grade sensors. And paving joint sensors. 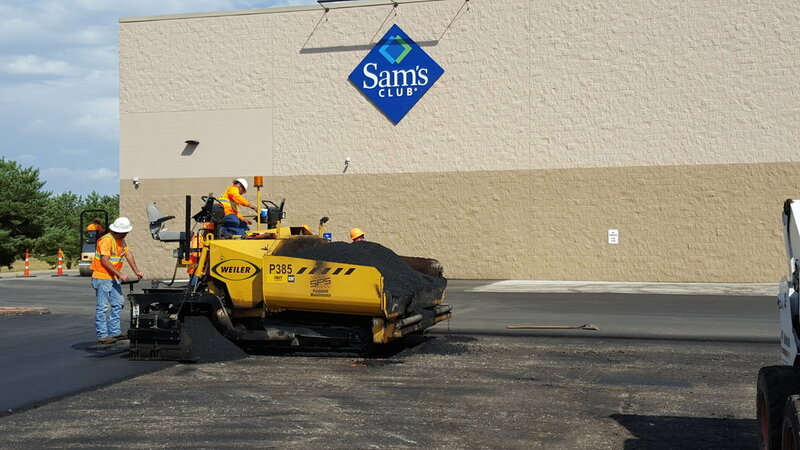 All of which will make the difference between a "good" paving job and an "SPS" paving job. 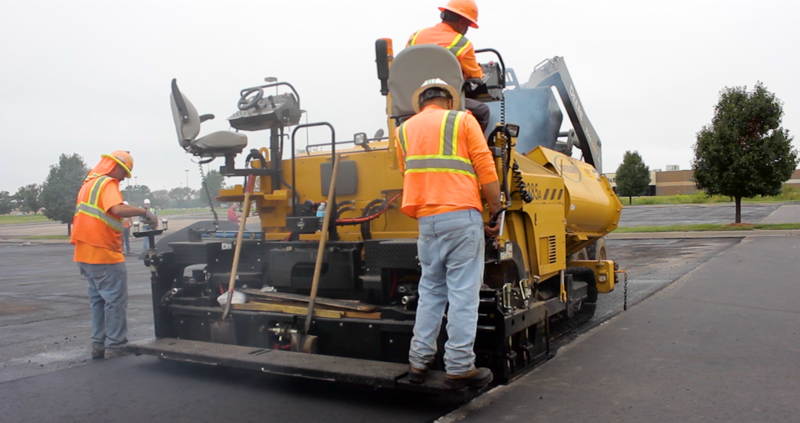 As your paving project begins to come together, you will notice the tightness of the seams, the smoothness of the surface, the sharpness of the edges, and the highway-grade compaction density that only an experienced, dedicated crew can achieve. 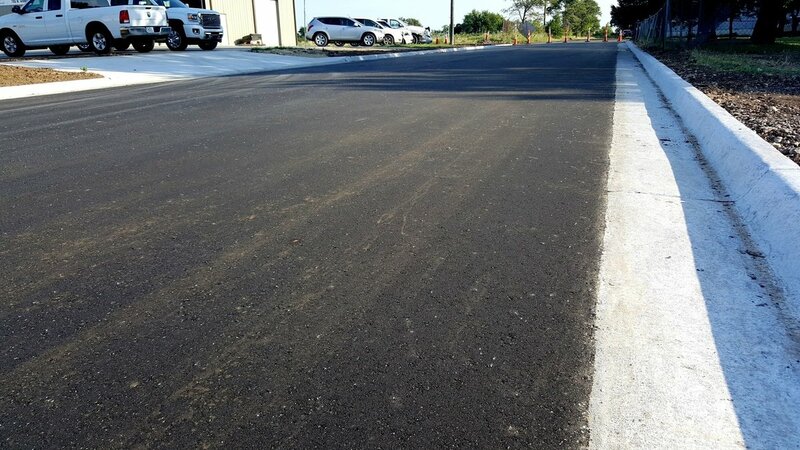 The asphalt mix design is of the highest quality, with optimum oil content and the perfect size of aggregate for an ideal wearing surface. If this sounds complicated, that's because it is. 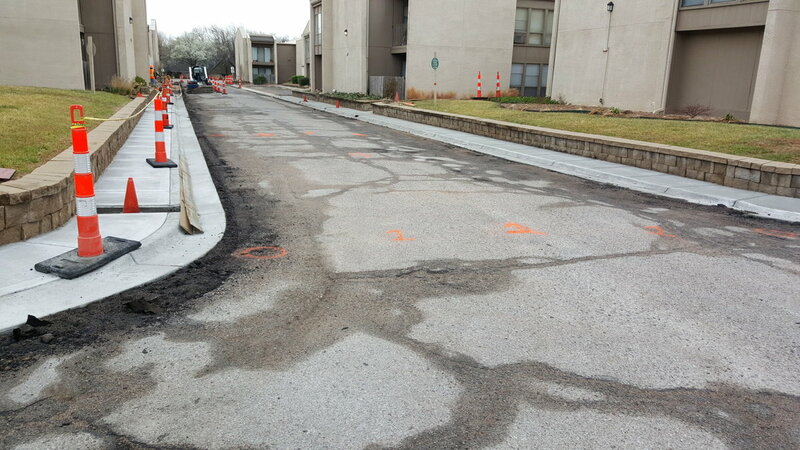 Your paving contractor must know what they're doing, or you may not get what you pay for. Most of these details will not affect you in the first year.  The SPS difference is when everything is still holding together properly 5, 10 or 15 years down the road. As our paver lays down the perfect mat of asphalt, the most critical part of the project is also taking place.... compaction. A vibratory roller drives back and forth at the proper pace, the correct roll pattern, and precise timing. 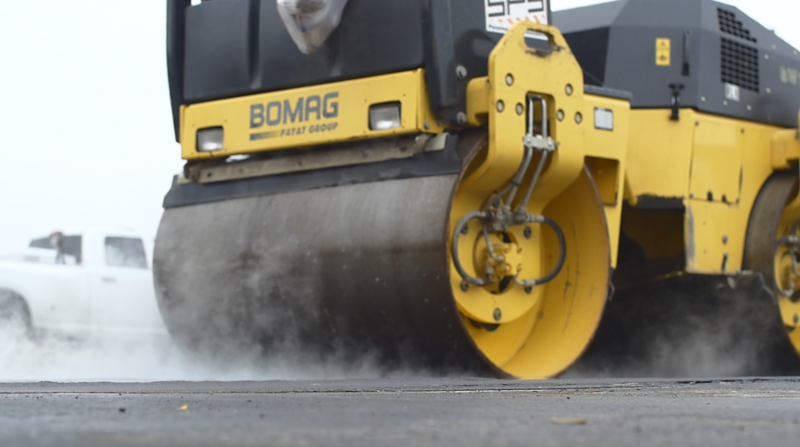 Compacting your asphalt while it's hot, for the correct length of time, with the proper size of roller, at the correct vibrating frequency, and driving at the proper angles are all crucial elements. 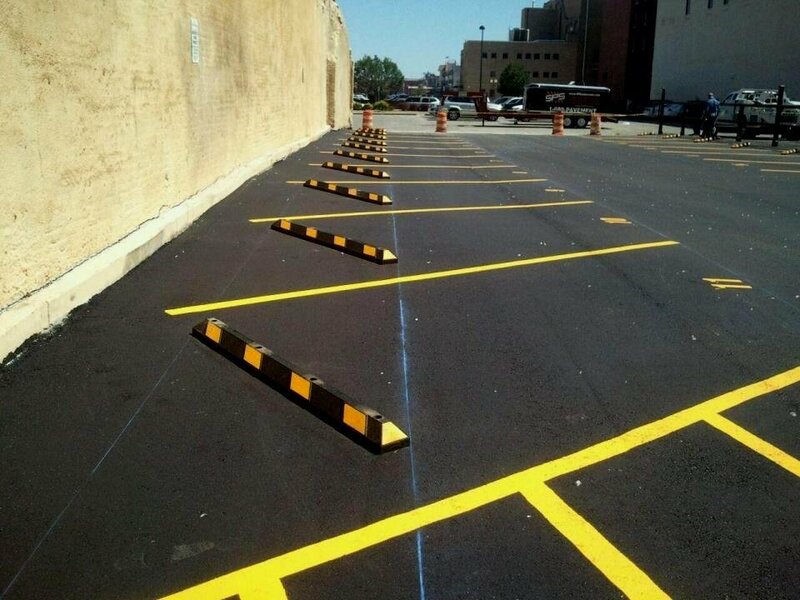 In order for your parking lot to withstand the brutal Midwest weather elements, including frequent freeze and thaw cycles and subsequent expansion and contraction, it must be installed correctly from start to finish. Any weak areas will be the first to fail down the road, costing you money for repairs. 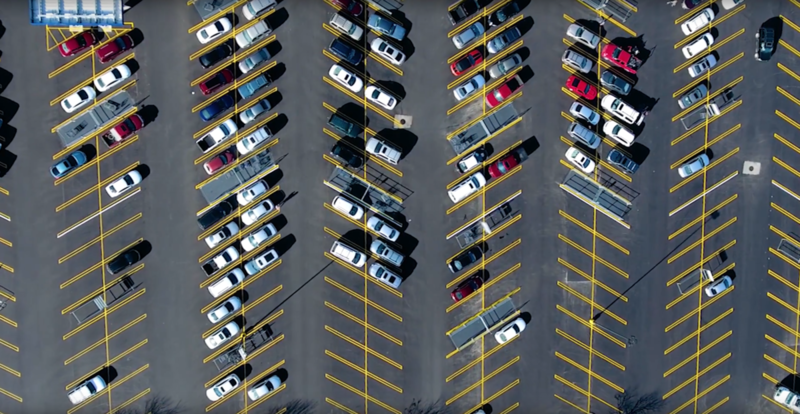 The compaction of your parking lot also effects its ability to support the weight of vehicle traffic and helps to prevent tire depressions. Finally, the finishing touches are applied to your project. 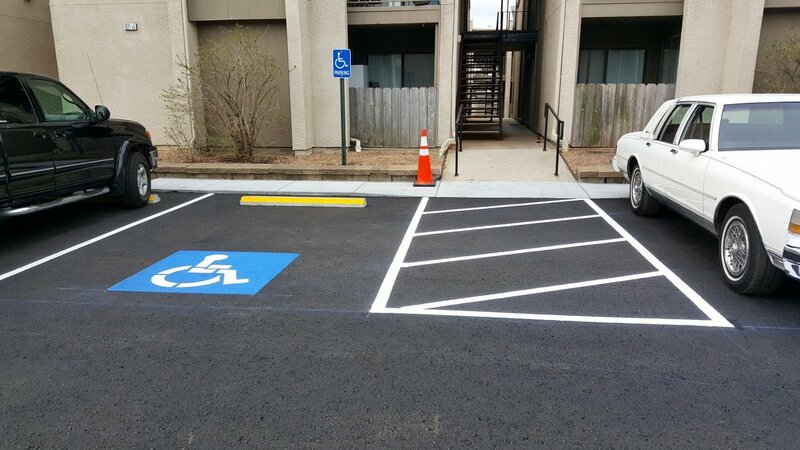 One of our expert striping crews carefully lays out the parking design based on your needs and specifications. Then, the paint is precisely applied with one of the most advanced striping machines on the market. You won't find a better striping crew anywhere in the midwest. Our expertise and guidance in this area is no extra charge. If you need help and recommendations, we would be glad to assist you with potential traffic flow improvements if possible. 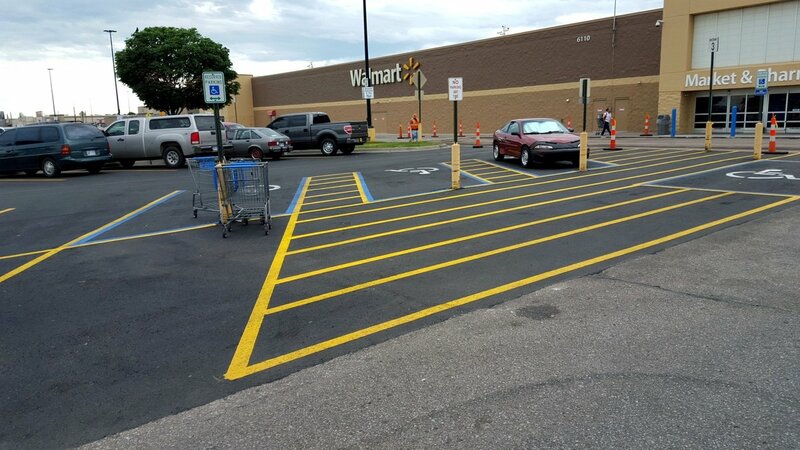 All striping will be painted according to current ADA codes and regulations to get you in compliance. We take great pride in every task, every job, every day. We'll treat your property like it's our own. We'll pay attention to the details that you may never notice, but we do. We'll continue to improve the looks during the installation even if you're satisfied, because we're probably not satisfied yet. Quite often, you will see us back after you're already blown away with our workmanship, cleaning debris out of the grass. Blowing off sidewalks. And putting the final touches on the project even though you're already happy. We're more picky than our customers. That's what sets us apart. It's the SPS difference, and that's why you'll want to use us again and again.